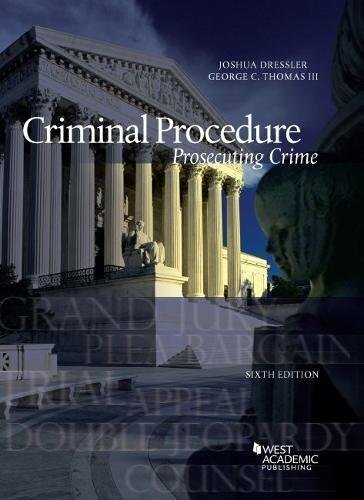 1634603281 -This softcover book contains a complete, unchanged reprint of Chapter 1 and Chapters 11-19 of Dressler and Thomas’ Criminal Procedure: Principles, Policies and Perspectives, Sixth Edition. Please see that description for more about the style and approach of this book. The pagination is the same in this softcover book as it is in the hardcover version.